Our family hired Yola to sell my sisters house who was abruptly placed in memory care. The home was in a chaotic state. We had one meeting with Yola who immediately took over the reigns with professionalism, empathy, and kindness. Her team orchestrated hauling, targeted maintenance and upgrades with an extraordinary plan to secure the highest return for my sister’s home. We can not overstate the elegance, and efficiency delivered by her team. We first interacted with Yola when she was representing the seller at a building where we were renting an apartment. She was extremely professional and respectful throughout the process even though we were not her clients, and we turned to her when we were ready to buy a home a couple years later. Her knowledge of the market and expertise with remodels was invaluable in navigating the frustrating SF buyers market. She was very quick to understood our needs, and we quickly grew to trust her opinion with regard to property values and price, which helped make the process a whole lot more efficient. I particularly appreciated her no-nonsense attitude and keen business sense. Overall, It was a great experience working with Yola and I would highly recommend her to anyone looking to buy or sell a home in San Francisco. -Lives and works in San Francisco so has a good grasp of the many different neighborhoods, what they offer and its potential. This is especially important because the city has invisible lines that divide up each community and the vibe can change significantly one block away. Think you’re in Downtown SF? Walk one block west and you’re now in Tenderloin. -On top of the market and can give you guidance on whether a home is super underpriced, overpriced, or just about right. This is especially important because you can get excited about a home, only to be crushed that it goes 30+% over asking. She helps give you a reality check and so you don’t waste time on properties that you ultimately won’t be able to afford. -She has your best interest in mind. Sure, if you put 100% over ask, you will get any property you put an offer on. She wants to make sure your offer is aggressive and ultimately a winning offer, but you don’t overpay for it. -Warm, calming personality but can be direct. That’s the perfect mix IMO. She is willing to listen and guide you through the process but also tell it like it is when the situation calls for it. Yola recently helped us close on our dream home. It’s a bloodbath for buyers in San Francisco, and it’s critical to not simply have an agent, but an advisor. 1. Price trends. Most houses are selling above asking, and she helped quantitively frame these prices in the context of our budget. 2. Remodel costs. She has extensive experience with her own projects and is a trusted resource. We relied on Yola’s expertise in our first home purchase. She gave us real advice, and made sure we felt comfortable with every step of the process. We could not have found our dream house without Yola, and we definitely couldn’t have made it ours without her skill and guidance. She steered us in the right direction, and made sure we were being realistic in our offer. We now have a beautiful house, and couldn’t ask for more! P.S. Yola also matched our communication schedule well, and made it easy for us to work around our job schedules and personal life. Yola has sold 2 condos for us over the years. We love working with her and would highly recommend. She’s smart, personable, responsive, detail oriented and really knows her stuff. San Francisco is a unique, crazy market and she is a great person to help navigate it. She’s also honest, which is quite refreshing when you’re nervous or new to buying/selling properties – the advice and ideas she gave us turned out to be spot on. Yola was absolutely wonderful to work with.ÊWe were first time home buyers and very anxious about buying in this very competitive market.ÊI know I wasn’t the easiest client to work with, but she held our hand and assisted us through every step of the process. I wouldn’t hesitate to recommend her to anyone looking to buy in SF. Thanks Yola! Yola recently helped us sell our home in Noe Valley. She was extremely insightful during the preparation process, helping us to both form a selling strategy as well as source and schedule all of the necessary services (painting, floors, roofing, inspections, etc.) to get our home into the best possible shape for sale on a tight timeline. Her market knowledge and personal skills are excellent and gave us great comfort through what can be a stressful process, and she has surrounded herself with a team that can do anything, anywhere & anytime. I would recommend her without hesitation and look forward to working with her again the next time we are in need of her expertise. Yola sold our Inner Richmond condo for us in 2011, which involved a fair amount of negotiating with buyers, the HOA, and contractors doing some repairs to the building. She met our needs for a timely and smooth sale, keeping every piece moving so that we could, in turn, move out and move on. When we bought a single-family home in 2012, Yola was very helpful again. She advised on the potential of every property we saw, teaching us to see more than its current state. When we settled on a house in Cole Valley, her steely-eyed advice on how to write our offer was absolutely the reason that we won the bid, despite not having the highest dollar amount. We owe our current happiness with our home to Yola and look forward to working with her again (if we ever move). We had gone through many real estate agents and finally found a keeper with Yola. She is very knowledgable about the market. She keeps up to date with what is going on and knows many people in the industry and has a very strong network. This helps when you are selling your house as well as when you are buying. We bought a fixer upper with Yola’s help in March 2013. She had gone through buying fixer uppers herself so she had a lot of advice on what to expect as far as costs and architects. She also helped us come up with a price for the offer doing her analysis of what was happening with the market. This helped us be the top offer on the table and we got our “dream” home in Noe. She also helped us sell our first home off the market in March 2015. We had worked through the costs of remodeling and staging the house to put it on the market and with Yola’s suggestion put it “off” market as is and got the same price that we wanted had we put the money into remodeling and staging. She saved us a lot of time and $$$ by not having to do any of the extra work. She knew what was going on in the market for the timing and she knew that there were buyers that were seriously looking from her real estate network. We are very thankful to have Yola as our realtor. She truly is the best there is. If you are looking to buy or sell a house in the Bay area, I highly recommend you speak with Yola. As a first-time homebuyer, I was thrilled to have someone really take the time to sit down and listen to what it was that I was looking for, patiently walk me through the process, give me great advice, and help me find EXACTLY what I was looking for. She truly cares about finding the perfect place for you. The experience was wonderful. She is simply put, a smart, empathetic, and world-class real estate professional. I cannot recommend her enough. Thank you Yola!!! Yola is a tremendous real estate agent. She is responsive, patient, and works hard. She also understands the SF/ Bay Area real estate market well and is exceptional at negotiation. I would recommend Yola without hesitation and would work with her to buy or sell my next home! We highly recommend Yola. She helped us in our search for our first home in San Francisco in the midst of a crazy market and far exceeded our expectations for a real estate agent. She was professional, polite, and a true advocate for us right from the beginning. She listened to what we were looking for and stayed within our budget when showing us properties. When we placed our first bid, she walked us through every step of the process and even took the initiative to negotiate the price down with the sellers during the counteroffer stage. She remained involved through the closing and calmly and thoroughly answered all of our questions. Even after we had moved in, she went above and beyond the duties of an agent to help us resolve an issue with our condo by reaching out to our building’s management company. In short, we couldn’t have been happier with the service that Yola provided us and would strongly recommend her to anyone buying or selling property in the Bay Area. My in-laws recently sold our Sunset home with the help of Yola. One of Yola’s great qualities (she has many!) was her patience and expertise. Our home was unique, as we had an in-law unit and had to deal with moving out tenants. She was always available to discuss our options, answer any questions and just be an overall great resource to us on San Francisco real estate. From the moment we decided to work with Yola, I knew we were in good hands. Her hard work, dedication to us as clients and her negotiation skills made her the best in the business and we couldn’t have been more pleased with the results! Rarely do you get a real estate agent in a hot market who stops to listen to you and get to know you. But Yola does. She was patient when it came to leading us to decisions, and couldn’t possibly know more about the market in SF. We’re highly appreciative of the time and effort she put in on her behalf. As the person who referred her to us said, “Yola will get it done.” And she did. I cannot say enough to reflect how much value I got from working with Yola. She took the time to understand what my personal needs and desires were in thinking about a new home (and a big purchase) and researched the market thoroughly on my behalf. While many people dread the Sunday housing trips, I looked forward to them, as I knew it would be fun to spend time with Yola and I also knew that she would have picked only the places that would appeal to my tastes, priorities and budget. I look forward to going to my new home each day, and I attribute much of my new-found happiness to her hard work. We had been looking for our house for almost two years unsuccessfully until we asked Yola to be our agent. Suddenly, we had up-to-date information on the property matches that we should see, and right away our dream house came around. Thank you Yola! I enjoyed working with Yola and recommend her for any competitive real estate investment transactions. Yola helped me buy a multi-unit building in the highly popular Dogpatch Historic District of San Francisco. In our case, we were also constraining ourselves to transactions that made investment sense and competing with very savy investor buyers who were able to make an all cash offer on a moments notice to hard to access deals. Yola’s experience and connections in real estate financing,construction, city planning guidelines, and negotiating complicated multi-stage bids made a huge difference. She is well educated, has the business savy, and is well connected. She is also patient, efficient, and analytical and has integrity. I will definitely work with her in the future again. Working with Yola was wonderful. Being new to the crazy San Francisco housing market, Yola did an excellent job explaining market dynamics and how to evaluate and create a “winning” bid for the home we wanted. I had a great pleasure to work with Yola to buy and sell my property in San Francisco. Both sales had their set of challenges, but Yola’s expertise helped us remove all the roadblocks in no time. I trusted Yola’s advice and opinion wholeheartedly no matter what the situation was. Yola’s professionalism and understanding of the market are unmatched, I was and am very grateful for her support. Not only both transactions ended up to be a great success, we also developed a wonderful friendship during our work together. Yola helped us in our search for our first home in San Francisco in the midst of a crazy market and far exceeded our expectations for a real estate agent. She was professional, polite, and a true advocate for us right from the beginning. She listened to what we were looking for and stayed within our budget when showing us properties. I rarely post a review unless I think it’s truly worth it, either good or bad. Yola did such an amazing job as our agent to both buy and sell our condo that I felt obligated to share our experiences. Yola was our agent when my wife and I purchased our first condo in SF. We spent a year searching with other agents before we were referred to Yola. Once we met with Yola, the rest was history. She did an outstanding job quickly understanding our search criteria and finding several places that met our requirements. Other agents dragged us around to viewings that were completely off from our stated requirements and wasted our entire weekends. Within 2 months of meeting Yola, we found our dream home that we purchased 15% under the original asking price which is rare for SF. Yola knew everything about the current market trends of the neighborhood, the history of the apartment, and the previous owner to give us an edge in the price negotiations. Since this was our first purchase, we were a little apprehensive due to the amount of money we were about to spend. A lot of agents and banks forget this and treat you like a number. Yola took the time to step us through the entire process and was extremely responsive to all of our questions. She managed to keep us calm by keeping us well informed throughout each step of the process. 2 kids later, we decided it was time to sell and look for a bigger place. We almost put our place on the market two times pervious to when we actually sold it. Yola helped us assess the market and timing of our sale each time we considered selling. We flew through the sale process in record time which helped us avoid the additional costs that come with moving out to stage the apartment for sale. Everything down to setting the asking price, staging recommendations/options, identifying disclosures, flyers, websites, etc. was top quality. We received numerous bids, sold well over what we had imagined, and took in a handsome return on our investment. We would love to have Yola as our agent for our next purchase, but unfortunately we’re not looking in the city any more. Yola’s area of expertise is the city of SF so she makes the smart choice of referring clients to other trusted agents if clients are looking outside of SF. That says a lot about Yola since many agents will try and stretch themselves to unfamiliar areas just to keep the commission. I am one of those people who researches and wants to know every detail before making a major purchase or sale, but over a short period of time, I quickly learned I could trust Yola. She knows exactly what’s she doing and is a true professional which was a huge weight off our shoulders. A lot of people worry about trusting real estate agents for issues such as collusion with other agents to increase their commissions/sale price/network, being treated like a number, and agents not looking after the best interest of their client vs the company they represent or themselves. With Yola, all these concerns can be left at the curb. My in-laws recently sold our Sunset home with the help of Yola. One of Yola’s great qualities (she has many!) was her patience and expertise. Our home was unique, as we had an in-law unit and had to deal with moving out tenants. She was always available to discuss our options, answer any questions and just be an overall great resource to us on San Francisco real estate. From the moment we decided to work with Yola, I knew we were in good hands. Her hard work, dedication to us as clients and her negotiation skills made her the best in the business and we couldn’t have been more pleased with the results! My husband and I have been Yola’s clients since 2008, when we were in the market for a condo in San Francisco. Yola came recommended to us by a mortgage broker. It was our first time buying a property, and she was an excellent choice for us. Yola helped us find a condo in just a few weeks. The process was very smooth, and that was in large part due to Yola. She is extremely knowledgable about the San Francisco market and is highly committed to doing a good job for her clients. She is a tough negotiator and knows how to hold her ground, exactly what we needed as first-time home buyers. We stayed in touch with Yola over the years and recently worked with her to sell the same condo. Once again, we were impressed with her. She is confident, hard-working and honest, and she cares about her clients. We closed on the condo less than three weeks after the first open house! Yola is a terrific realtor and we would absolutely recommend her to anyone looking to buy a property in San Francisco! You can’t go wrong with her. – Smita and Harish P.
My husband and I have been Yola’s clients since 2007. Yola helped us both in buying and selling our places. In 2007, during the hype of the market, Yola found a great starter TIC unit for us right in the middle of Alamo Square – top story unit, fractional financing, half a block to the Alamo Square Park with parking – all within our very limited budget. Initially we didn’t know anything about TICs. Her expertise in this unique area helped us in both understanding the concept of TICs and finding one that is well managed and set-up. In 2012, when we decided to look for a single family home, Yola sold our TIC within a month. Her advice on staging and storage definitely helped us greatly during the selling process. Given the tough market in 2012, Yola was the best emotional support in addition to being such a hard worker in finding homes. Since she was great at watching out for our budget, during bidding wars, she was very honest to stop us to going to ridiculous levels. After 5 months of non-stop searching, she found us our dream home through her network – before the home came on the market. We can’t be any more grateful for her honesty, hard work and true friendship. Every time we work with her, she makes us feel like we are her only clients and we appreciate that a lot since home ownership is an emotional process – whether you buy or sell. – Nes and Derek L.
We can’t recommend Yola enough! The sheer devotion and determination she gave us from the start of our house search meant that we knew we had the right team to find what we wanted. The San Francisco real estate market is not for the faint-hearted and being unfamiliar with the home-buying process here it was truly reassuring to have someone like Yola to guide us through it. From selecting properties to view, to researching comparative property valuations, to successful pre-emptive offers and finally contract negotiations, Yola was with us every step of the way. Her patience and scheduling flexibility were also most welcome, especially as we were constantly trying to work around the schedules, whims and tantrums of two young children! Yola is much more than just a great realtor – she is now a great friend! If you are looking to buy or sell a house in the Bay area, we highly recommend you speak with Yola. As first-time homebuyers, we were thrilled to have someone take the time to really listen, walk us through the process, give us great advice, and help us find exactly what we were looking for. Experience was wonderful. Thank you Yola! It is with true enthusiasm that I recommend Yola to anyone who mentions San Francisco real estate! 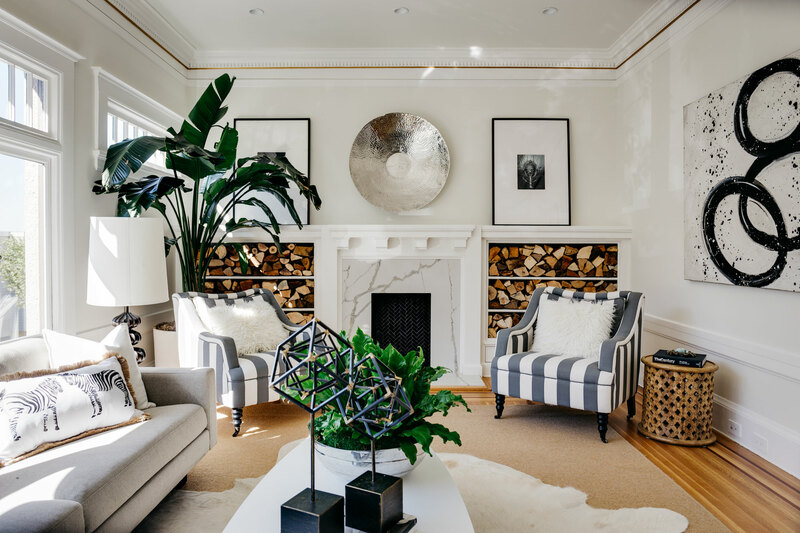 She did a professional job of selling my Russian Hill House—guiding me and pulling in necessary outside resources in what turned out to be anything but a straightforward and easy sale. Perhaps best of all, it is a joy to work with Yola. Her energetic and positive attitude is only challenged by her responsive calls and emails! We are homeowners in San Francisco all thanks to Yola. She took the time to get to know us, listened to what we were looking for and helped us achieve our goal. Yola is extremely knowledgeable about the dynamic local housing market and you won’t find a more supportive, patient and enthusiastic real estate agent anywhere! – Brian and Angie G.
Yola was very active in, and knowledgeable about the local real estate market. After spending time together and conveying our needs, Yola shortened our search process considerably presenting only properties that matched our profile. It was no surprise that we found an ideal property quickly. And once we engaged in the negotiations and escrow process Yola’s experience really made the difference. We were able to purchase our property under asking price, a rare feat in San Francisco. The whole process was fast, efficient and pleasurable. We can’t say enough good things about working with Yola. – Robert and Cornelia S.
As a first-time buyer, I probably needed more assistance in searching for a home than many people in the real estate market. And so, I was especially fortunate to find Yola Ozturk. In just our first meeting, she took the time to explain the entire purchase process to me so that I would know what to expect. It was clear that she knew the San Francisco market very well and, after learning what I was looking for, was able to help me narrow my search to specific neighborhoods. She spent a great deal of time going over details about properties prior to showing them to me so that we spent time looking only at the ones that most closely matched my specifications. Additionally, she was quick to point out concerns about each property that I might not otherwise have noticed. Clearly, I could trust her to look out for my best interests. As important as being trustworthy, honest, professional, and a hard worker, Yola is pleasant, interesting, generous, and truly a joy to work with. I will recommend her services to anyone looking for an agent.